Lilly Martin Spencer’s works were among some of the most popular of the mid-19th Century. She was a genre painter, meaning that the works she created depicted scenes from everyday life, and her work often focuses on common, working class human situations: cooking for your family, taking a break from your studies to play with your toys as a child, gathering with your relatives on a balmy July afternoon, and more. Although Spencer was born in Exeter, England, in 1822, she and her family emigrated to the United States when she was 8 years old, ultimately settling in Marietta, Ohio. By the time Spencer was in her early 20s, she was living in Cincinnati and furthering her craft with help from other painters, such as James Beard and John Insco William. 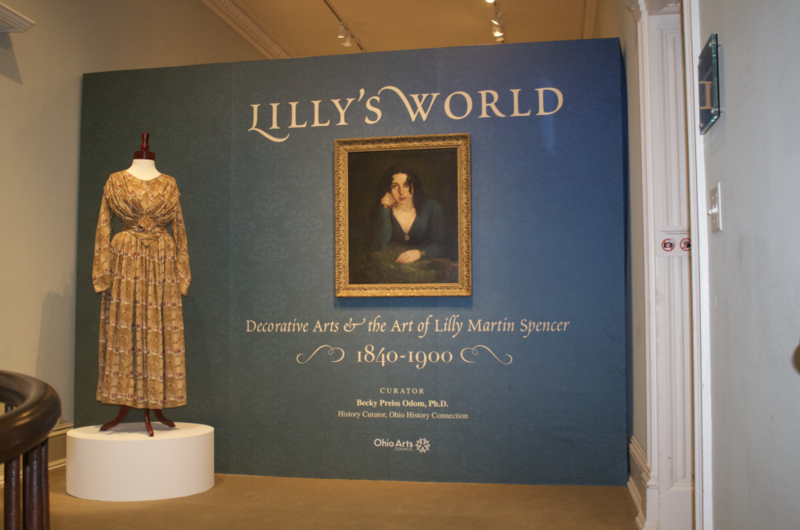 The Decorative Arts Center of Ohio is kicking off their 2019 season with an exhibition entitled Lilly’s World: Decorative Arts and the Art of Lilly Martin Spencer, 1840-1900, which has been curated by Dr. Becky Odom, Ph.D., of the Ohio History Connection. The exhibition features 23 of Spencer’s works, 15 of them being original paintings, and the remainder being prints created during Spencer’s lifetime. Spencer’s work was largely disseminated in print form, which made her images readily available for the American middle class to decorate their homes with. 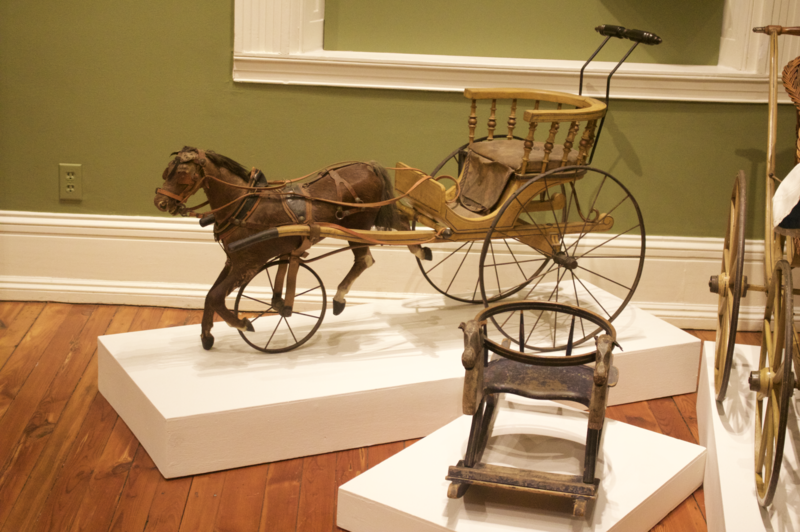 Displayed alongside the paintings are historically accurate recreations made up of various decorative arts pieces from the Ohio History Connection’s collection that are mostly sourced from Ohio. Odom referenced Spencer’s 1857 work, “This Little Pig Went to Market,” which depicts a mother in an ornate dressing gown, singing to her chubby baby in her bedroom. “Lilly’s World” is on display at the Decorative Arts Center of Ohio (145 East Main Street, Lancaster) through April 28, 2019. The Decorative Arts Center of Ohio is open Tuesday through Friday 10 a.m, to 4 p.m., and Sundays 1 p.m. to 4 p.m. Admission is always free. 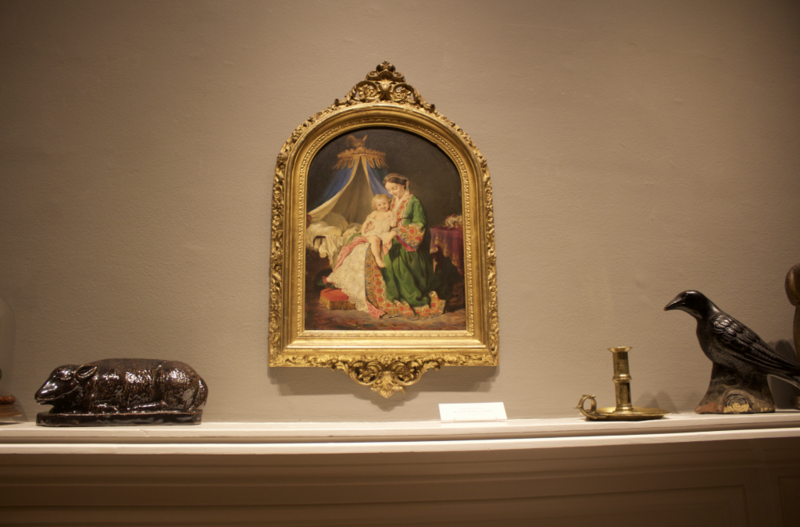 Alongside the presentation of this exhibition, the Decorative Arts Center also presents the very first mini spotlight installation in the Reese-Peters House parlors. The mini spotlight installation will rotate every six months, and feature items that illuminate what the Reese-Peters House was like as a household throughout it’s prime. For the first half of the year, the spotlight focuses on the historically accurate representations of items that would have been used by the wealthy women who called the Reese-Peters House home. Robin Schuricht will portray Lilly Martin Spencer and recall important life and career events while in costume. In conjunction with the Lilly Martin Spencer exhibition, the Decorative Arts Center of Ohio is showcasing a number of works by Tella Kitchen in their lower gallery. Tella was an acclaimed folk artist who didn’t start painting until late in her life. Tella’s grandson, Ed Kitchen, will speak about Tella’s life and artistic legacy. WOUB will publish a more in-depth feature about Tella on Monday, February 25. Jeff Darbee and Nancy Rechhie, historic preservation specialists, will present information on how to elevate the aesthetics of everyday life with the decorative arts.